Focusing on the years 1842 to 1867, Newspapers and Newsmakers evaluates the impact of the Dublin nationalist press on the Irish nationalist cause in its aspirations to overthrow the 1800 Act of Union and establish an independent Irish nation. The Dublin nationalist journalists were totally immersed in Irish nationalist activities, whether by reporting news or creating it, often risking danger to themselves from the British government. Beginning with The Nation, a newspaper that heralded a new era of Irish political and cultural nationalism, this book charts the Dublin nationalist press’s emphatic role in the promotion of Daniel O’Connell’s Repeal of the Union campaign with its impressive peaceful mass mobilizations, the bitter and turbulent splits between leading Irish nationalists in 1846 and 1848, and the attempted Young Ireland rebellion. Following the temporary downfall of the nationalist movement, and in response to the Great Famine, the Dublin nationalist journalists sought an ideological reconstruction of the Irish nationalist cause that included a long-term commitment to revolutionary nationalism leading to the rise of the Irish Republican Brotherhood. Drawing upon critical analyses of the political and literary contents of the Dublin nationalist newspapers, emphasis is placed upon the power of ideas, particularly the impassioned dynamics between constitutional nationalism and revolutionary nationalism. This book also focuses on the thinking of high-profile nationalist writers such as Thomas Davis and John Mitchel and the inspiration they gave to their contemporaries and future Irish nationalists alike. 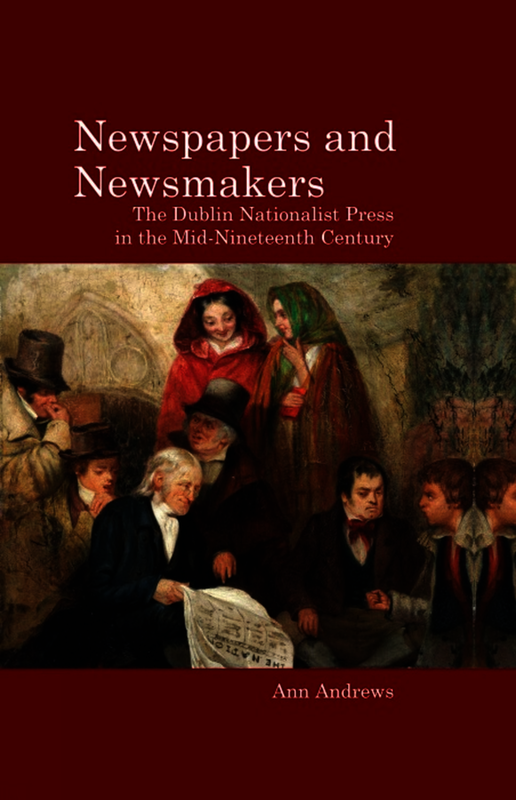 Newspapers and Newsmakers establishes that what was written in the Dublin nationalist press during the mid-nineteenth century had a powerful and enduring influence on the development of Irish nationalism. Dr Ann Andrews is an Independent Researcher and member of the British Association for Irish Studies.